The Academy Awards are coming up in a few weeks, and while that show has been saddled with the controversial decision to ask Kevin Hart to host and then the thrilling showbiz drama of Hart dropping out and the Academy struggling (and eventually giving up on) finding anyone to replace him, the Grammys have been facing a difficult situation of their own going into tonight’s ceremony. We’re referring, of course, to Ariana Grande’s very public decision to back out of performing at the event over an apparent demand from the producers that she not play the new single from her album Thank U, Next. Would the ceremony itself be shaken by Grande’s refusal to participate? Would other artists back out in solidarity with Grande? Almost certainly not, because the only thing that matters on Grammy night is handing out some Grammy awards and watching some performances from the artists who did not refuse to participate. Also, Grande won a Grammy (her first), so that’s a nice little cap on the weird semi-controversy. 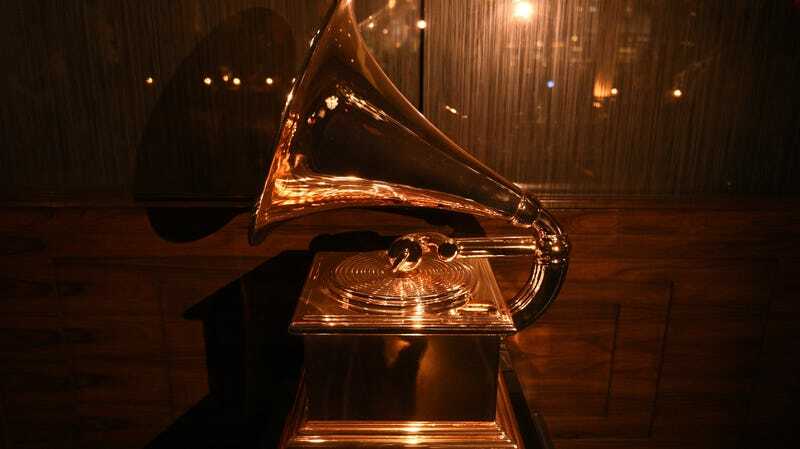 Grande won her Grammy before the show had even started, which is when the vast majority of the little gramophones are actually handed out—even the ones that seem like they’d be big deals. Quincy Jones’ win for Best Music Film was his 28th Grammy, giving him the record for the most of these awards collected by any living artist. Also, Chris Cornell posthumously won for Best Rock Performance, and while Beck winning the Alternative Rock category was kind of boring, he did beat out some big names. Perhaps this is because the Grammys, unlike most other award shows, really are about the drama. Most of the show itself is performances, and the stories behind these artists and their work really is more interesting than actually seeing them grab trophies and thank their producers and ghostwriters in speeches. Most of the nominees and winners are below, with the full list available over at Variety.